We are happy to welcome Jose-Luis Orozco for a live, interactive performance as part of our celebration of the Month of the Young Child. 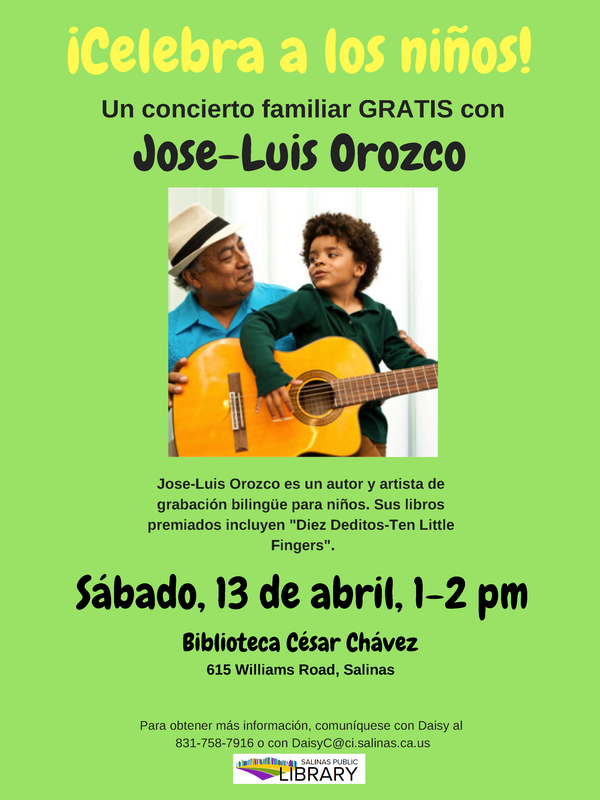 Jose-Luis Orozco is a bilingual children's author, educator, and recording artist. He encourages learning of the Spanish language and promotes Latin American culture through his art. His rich catalog includes 15 CDs, a DVD, and 3 award-winning songbooks. Come join us for the fun!